Who knew diamonds could be so loud? As it turns out, not by a long shot. 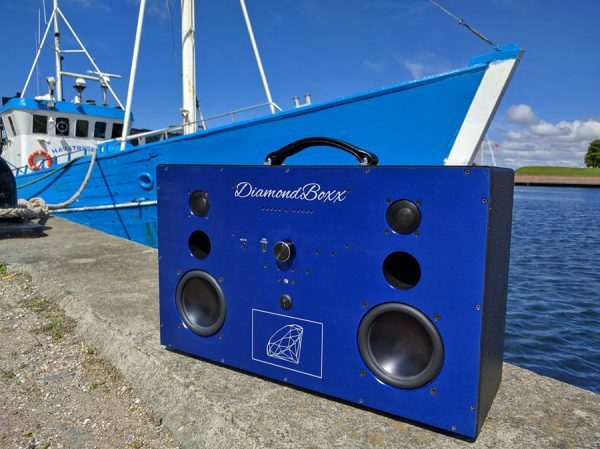 DiamondBoxx makes BIG speakers. How big? 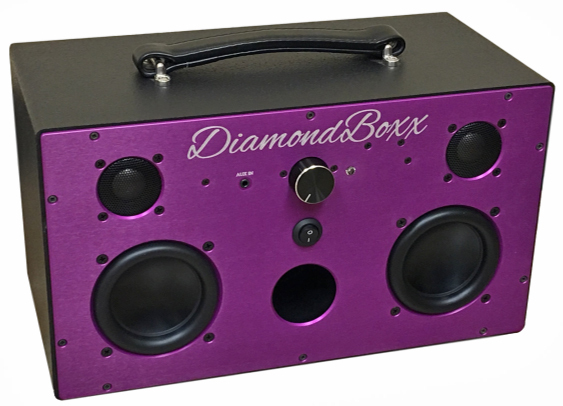 DiamondBoxx speakers come in three sizes. 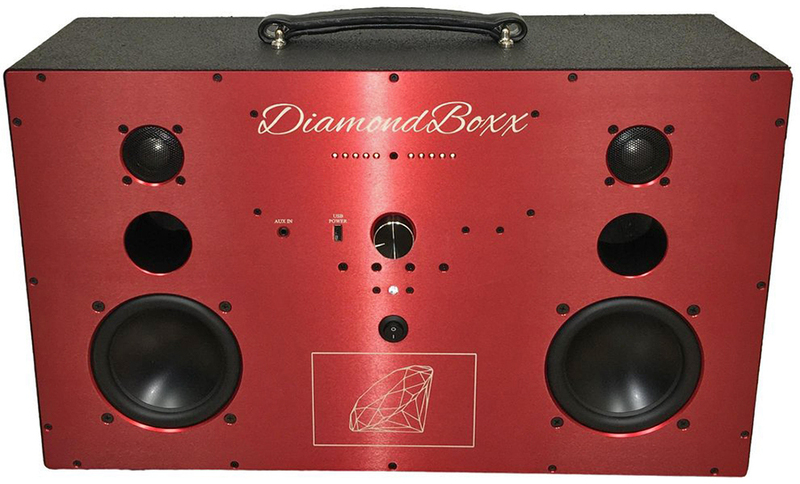 The DiamondBoxx M will turn the volume up to 109 decibels—comparable to a live rock concert. The M is water resistant and will play up to 60 hours on a single charge from its optional 231Wh battery (77Wh is standard). The M weighs 10 lbs. and its dimensions are 15 in. X 9 in. X 7.6 in. A 320 Watt HiFi Class A/B bi-amplified amp drives two 1 inch titanium dome tweeters and two 4 inch active woofers. Despite all that power, the M is the smallest DiamondBoxx speaker! Then there’s the DiamondBoxx L. This 19 lb. speaker measures a slightly larger 22.2 in. X 13.5 in. X 7.6 in. It features 5.3 in. woofers for a bigger bass impact. It sports the same amp and tweeters as the (not much) smaller M. The L can go up to 111 decibels. Think of the L as a bigger and badder M.
Finally, there’s the XL which is just insane. 960 total watts of power (that’s 960!) divided among 12 separate amplifiers. All that ridiculous power drives two 10 in. woofers and eight tweeters that will crank up to 120 decibels—ear damaging loudness that’s just shy of standing next to a jet engine. The XL is not a backyard speaker as much as it’s a stadium speaker. Oh, and if that’s not loud enough, you can link two of them for double insanity. 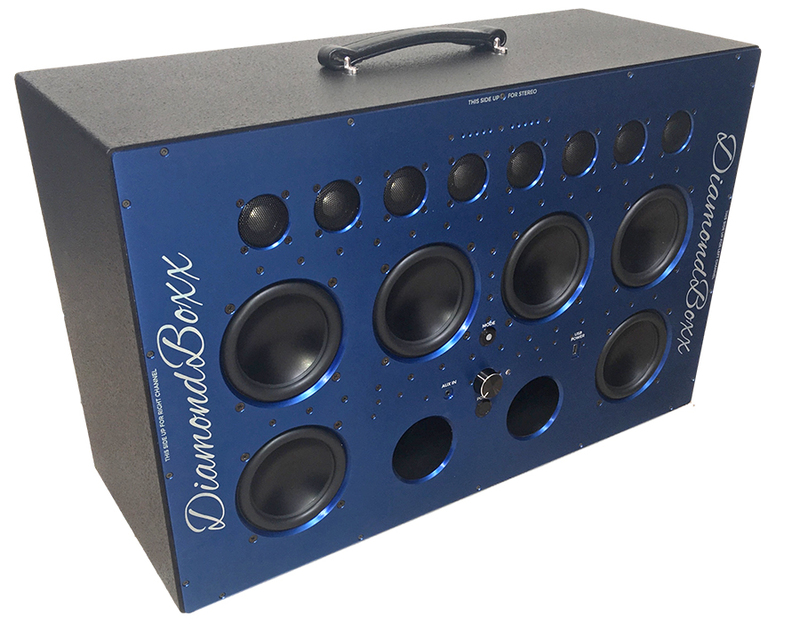 All DiamondBoxx speakers are hand-made in California. Materials consist of Duratex-sealed MDF wood, leather and titanium with anodized aluminum front and back panels. Each speaker comes with 50 ft. range A2DP Bluetooth, AUX input, analog audio limiters to prevent distortion at any volume, battery-life meters and other goodies. DiamondBoxx speakers are available now: $549-$649 for the M; $799-$899 for the L; $1,699 for the XL. Visit DiamondBoxx for more information and check Amazon for pricing.